Comedian Chelsea Handler was one of the so-called Hollywood celebrities who vowed to leave the country if Donald Trump was elected president during the 2016 election. Sadly for us, she is not a promise keeper. Ever since President Trump won the presidential election, the so-called comedian Chelsea Handler is trying hard to be a “loud voice of opposition” and that is exactly what she is! She was doing stupid things on multiple occasions- she attacked both President Trump and Melania Trump. She told people that they should “get over” the Kathy Griffin/Trump-severed-head fiasco, attacks President Trump constantly and mocks people from his administration. On Thursday, Chelsea Handler joined many others in slamming President Donald Trump over gun control following a shooting in Parkland, Florida, which left 17 people dead. 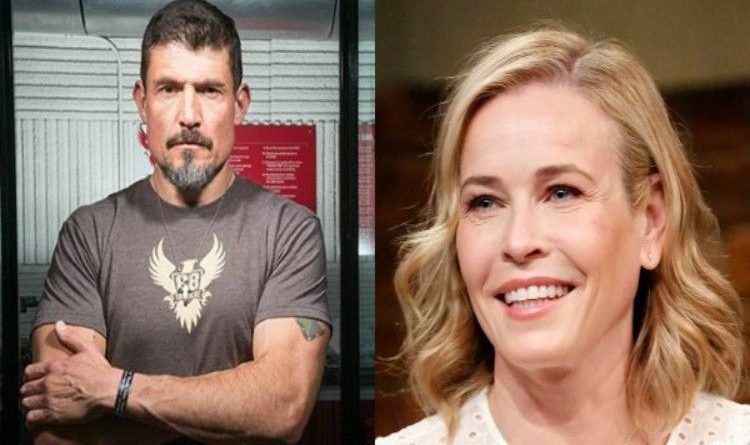 In response to the tweet, Benghazi hero Kris Paronto had a scorching take. ”Tonto“ is a true American. I totally respect him for all he’s done for our country. If Clinton wasn’t responsible for Columbine, and Obama wasn’t responsible for Sandy Hook, why is Trump responsible for the recent school shootings in Florida? These shootings along with the terror attacks can be laid at feet of the FBI, for not following up on leads. It has nothing to do with gun control, it has a lot to do with people control. ← People can’t STOP Talking About Ivanka’s Olympic Outfit. It was PURE America! Here are the photos!